The Killers have announced two huge outdoor stadium shows for summer 2018. 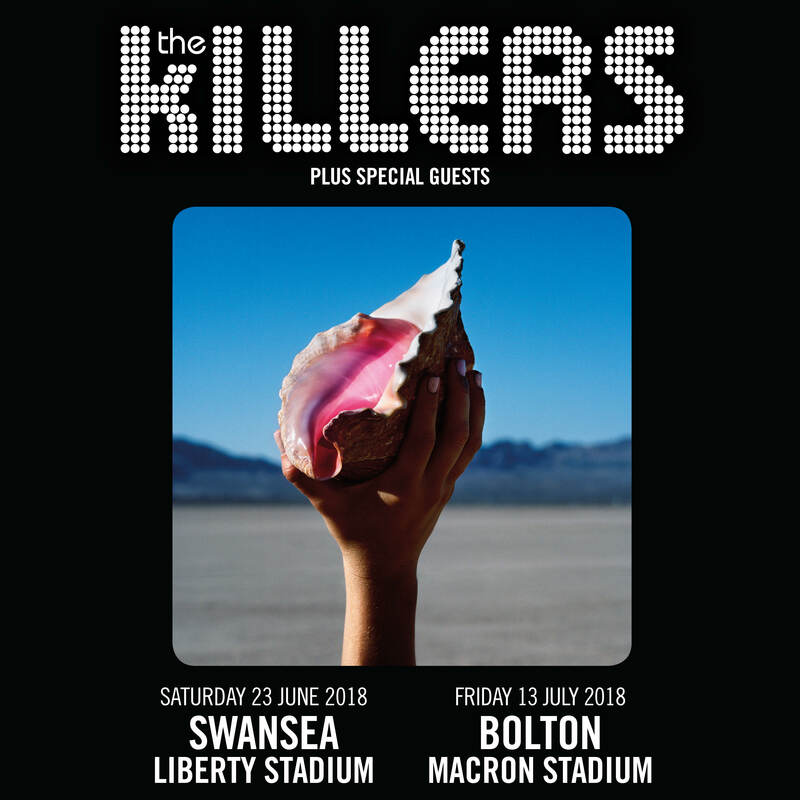 The Las Vegas band, fronted by singer Brandon Flowers, will play Swansea’s Liberty Stadium on Saturday 23 June and Bolton’s Macron Stadium on Friday 13 July 2018. Tickets for both shows will be made available from 9.30am on Friday, 8 December from www.ticketmaster.co.uk and www.gigsandtours.com. A pre-sale of tickets will be available to members of The Killers’ fanclub, The Victims, from 9.30am on Thursday 7 December via Ticketmaster. The news comes hot on the heels of the band’s sold-out UK tour with two packed shows at London’s O2 Arena. The dates will be The Killers’ first stadium gigs since they headlined a sold out Wembley Stadium in June 2013. The shows come in addition to the band’s headline slot at Isle Of Wight Festival, announced earlier today.